The 2019 Kia Forte is finally here and packing a dynamic lineup of features and capabilities. Not only does the Forte offer enhanced efficiency, making for excellent commuting and exploring, it’s also packed with some of the most advanced technology features available on the market. 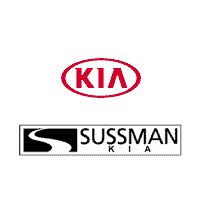 In this Kia Forte review, we at Sussman Kia will give you an inside look at what this model brings to the table when it comes to performance, comfort, convenience, and safety. Shoppers in Jenkintown, Rydal, and Glenside should read ahead to learn more! The 2019 Kia Forte is powered by a dynamic 2.0L Atkinson cycle 4-cylinder engine. Whether you decide to pair it with the standard 6-speed manual transmission or the available Intelligent Variable Transmission (IVT) with Sportmatic® technology, you’ll get the perfect balance between power and efficiency. Inside the 2019 Kia Forte, you can count on being comfortable and relaxed no matter how long you’re on the road with features like a standard Dual-Zone Automatic Temperature Control system. Amp up the comfort even more with a 10-way power-adjustable driver’s seat, heated and ventilated front seats, and leatherette seating surfaces. On top of all these comfort features that you’ll get to enjoy, you’ll also have a variety of advanced technology features at your fingertips. For starters, you’ll get a standard 8-inch touchscreen infotainment system with Bluetooth®, Android Auto™, Apple CarPlay™, and navigation with real-time traffic updates from SiriusXM® Traffic. This system keeps you connected and on track while the Forte’s available wireless charging pad keeps your devices juiced up for when you arrive at your destination. 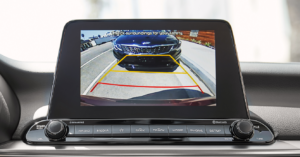 These features are designed to help you monitor the road around you. When they detect another vehicle or a potential collision, they alert you so that you can act in time to prevent an accident. On top of these features, the Kia Forte also offers a standard Driver Attention Warning (DAW) feature. This feature monitors you as the driver for any signs of drowsiness or fatigue while you’re behind the wheel. Test Drive the 2019 Kia Forte with Us! Now that you’ve had a taste of what the 2019 Kia Forte has to offer, it’s time to get behind the wheel and experience it for yourself. Shoppers in the areas of Jenkintown, Rydal, and Glenside can schedule a test drive in the 2019 Kia Forte today by giving us a call at Sussman Kia!